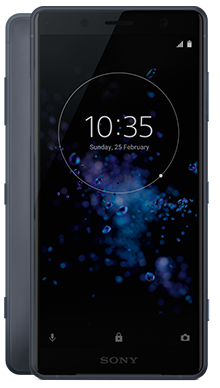 If you've had your eye on the Sony Xperia XZ2, but feel it might be a little too bulky for your liking, then look no further than the lightweight and practical Sony Xperia XZ2 Compact. Select your desired options to find the best Sony Xperia XZ2 Compact deals for you. Sony has been recognised for a long time as one of the world’s most successful technology giants, not least for their smartphone releases. While we may be used to seeing handsets from the brand that follow a tried and tested design formula of sharp corners and flat panelling, the Sony Xperia XZ2 Compact, and it’s larger stablemate, have made a significant departure away from that style. Whether you’re looking for a handset for personal or professional use, this phone is an ideal choice. Like its larger sibling, the Sony Xperia XZ2 Compact is much curvier in looks than previous Sony handsets, with soft, rounded corners and a sleek and elegant build. 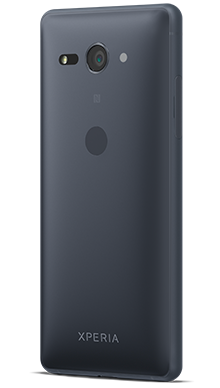 With front glass and an aluminium frame, the Sony Xperia XZ2 Compact is almost identical to the bigger handset, the only difference being that it has a plastic back panel which makes it significantly lighter, going along perfectly with its compact nature. 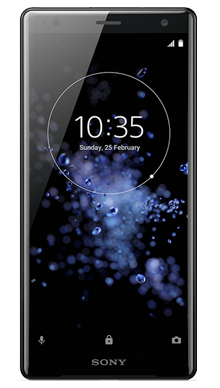 The display on the Sony Xperia XZ2 Compact uses innovative Triluminous technology to deliver an exceptional viewing experience, further enhanced by a 1080 x 2160 resolution and an 18:9 aspect ratio. As beautiful as the Sony Xperia XZ2 Compact is, it is also extremely tough, thanks to reinforcement from Corning Gorilla Glass 5 and dust and waterproofing. For a small phone, the audio quality on the Sony Xperia XZ2 Compact is extremely impressive, thanks to decent stereo speakers that are much louder than older handsets. When you plug in a pair of decent headphones, the audio experience is even more impressive, but we wouldn’t expect anything less from the brand who invented the iconic Walkman. 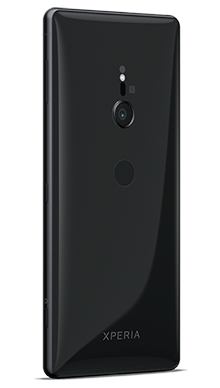 The camera quality on the Sony Xperia XZ2 Compact is essentially exactly the same as that found on the larger phone, with a 19 MP lens equipped with Motion Eye technology and a handy noise reduction system. Both together allows the Sony Xperia XZ2 Compact to deliver fantastic quality shots that will impress your friends and family. Again, on the front is a brilliant 5MP selfie camera which may not sound like a lot, but is sure to surprise you with the amount of detail that it delivers. Add to that 4K video capability, and you can be sure that the Sony Xperia XZ2 Compact will catch all of your favourite memories in exceptionally high quality. The Sony Xperia XZ2 Compact runs on Android 8.0 straight out of the box and should be upgradeable to more recent versions as they arrive. You only need to ask any long-time Android user how easy this interface is to use, and it looks great too. Despite being so much smaller, the Sony Xperia XZ2 Compact still runs on the mighty Qualcomm Snapdragon 845 processor, to deliver a speedy user experience that won’t have you waiting for your phone to catch up. On top of that, there is a powerful 2870mAh battery cell that will surely keep you going throughout a day’s intensive use without fail. Like its larger counterpart, the Sony Xperia XZ2 Compact marked one of Sony’s best product launches to date. It moved away from the sharp, boxy design of older handsets to deliver an elegant phone that feels remarkably premium. Here at Metrofone, we make it our priority to discover the very best mobile phone deals so that we can be sure our customers are as happy as can be. Our team dedicate all of their time to secure the best possible smartphone price. At Metrofone we partner exclusively with EE, the UK’s leading mobile communications network, to ensure that our customers get the best service and connection wherever they are. Whether you’re looking for a huge data package, great added extras or a fantastic cashback offer, Metrofone has the deal for you. 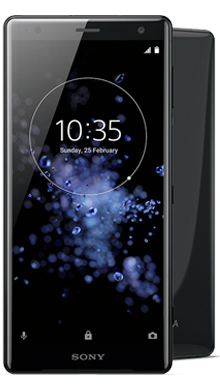 If we’ve convinced you that the Sony Xperia XZ2 Compact is the perfect handset for you, but you feel that you need more information about a specific deal, then why not call our trusted customer service team on 0333 900 1144 today? They will listen to exactly what you’re looking for to make sure that they give you the very best mobile phone deal possible.